Alaves are having a good campaign this season as they are among a clutch of teams vying for European places in La Liga. They are currently seventh, level on 32 points with Getafe and Real Betis in fifth and sixth positions respectively. Babazoros suffered a 3-0 defeat away at Real Madrid in their previous La Liga fixture last Sunday. They held their own for much of the contest but ultimately succumbed to the superior quality of the Madrid based club. 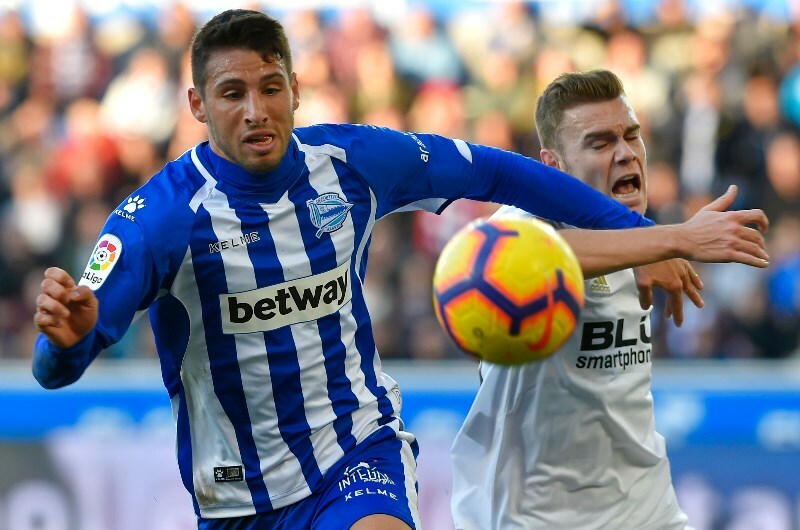 Borja Baston is the top scorer for Alaves this season and is often the go-to man in attack. The striker is expected to start on Monday alongside Jonathan Calleri, who also has four goals to his name this term. Levante have claimed just one win in their last five matches. They have suffered three defeats in that run and have slipped into the bottom half of the table. Granotas were held to a 0-0 draw at home against Getafe last time out in the La Liga. Paco Lopez's men were the better team but were guilty of missing a number of goalscoring opportunities. Goals have been a problem for Levante lately as they have found the net just twice in their last five matches. The duo of Roger Marti and Jose Luis Morales have found things difficult in recent matches but are still expected to start Monday. Deportivo Alaves have a 7-2 advantage with three draws from 12 previous matches against Levante. The hosts have won four of the last seven meetings but suffered a 2-1 defeat in the reverse fixture back in September. Alaves will be banking on their good record in this fixture having won four of their last seven matches against Levante. They are also unbeaten in nine of their last 10 home matches and with the duo of Calleri and Baston, should have too much quality for the visitors. Levante have struggled in attack in recent weeks, having failed to score in four of their last five matches across all competitions. Marti and Morales have combined for just one goal in their last six matches and should struggle at the Mendizorroza. Deportivo Alaves have won 3 of their last 4 home matches against Levante (all competitions). Levante have lost their last 4 away matches (all competitions). Levante have failed to score in 4 of their last 5 matches (all competitions). Deportivo Alaves will be keen to bounce back from their defeat to Real Madrid as they look to continue their quest for a European finish. The hosts are unbeaten in six of their last seven matches and with the visitors struggling for form at the moment, they should be too strong for Levante.